When I mention leaky gut, do you automatically think about holes in your intestines and fluid leaking out so you look like a fountain?! Hopefully it’s not just me thinking that way! 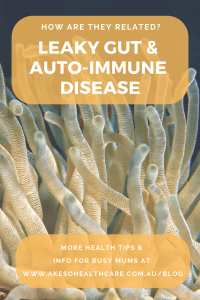 In my previous blog ‘Gut health for beginners’ I talked about the anatomy of the gut and how we know if it is healthy. 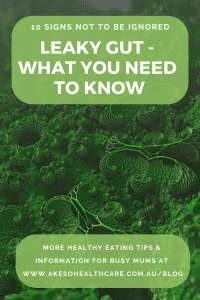 If you’re confused about leaky gut, what it is and why it matters, then please read on as this is what I’m writing about today! Leaky gut is a common term for ‘Intestinal Permeability’. 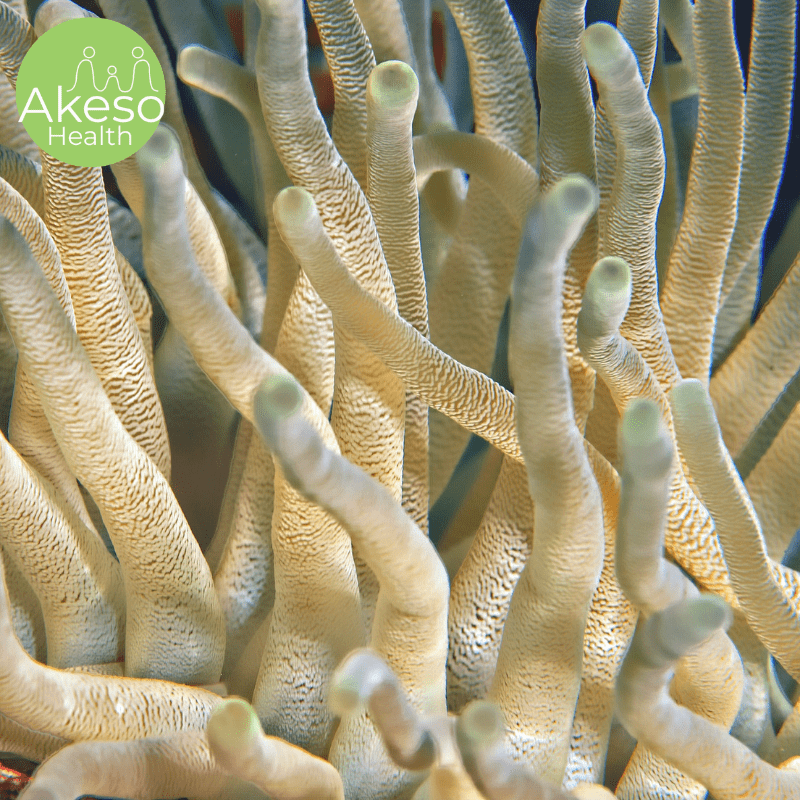 Leaky gut happens when the mucous membrane barrier lining the intestines becomes inflamed or damaged and the tight seal between each cell of the membrane opens up. The intestinal barrier is then less selective and allows larger proteins and other foreign particles through into the blood stream. Once in the blood stream, these particles cause an immune reaction. A consequence of this can be that your immune system develops antibodies to food or other foreign particles that it shouldn’t. Sometimes these antibodies are similar shapes to cells in our body. Your immune system gets confused and attacks your tissues and cells instead of invading bacteria and viruses. This is ‘autoimmunity’ – a sign our immune system has gone haywire from being triggered constantly. Feeling stressed or being very busy is a constant theme for you. How many of these signs do you tick off? Healing leaky gut can take some time and for some people it is easier and quicker (less trial and error) to do this with the support of a qualified Naturopath (like me!). Eating a healthy diet is one way to help protect your gut and keep it happy. Have you seen my previous blog on what healthy eating means? If not, you can find it here. Make sure you check out the recipes on my blog for inspiration. I have a recipe for gut-healing jellies available on the blog and a beautiful, easy, kid-friendly recipe for whole chicken and vegetable soup which is nourishing and soothing to an irritated gut. Oh, and don’t forget my anti-inflammatory turmeric and ginger paste recipe for a soothing drink or to use in your cooking to support and nourish your gut. If you’re worried about the state of your gut or maybe even a loved one’s gut, then you’ll want to come along to the gut health workshop I’m running on 6 March 2019 at the Ranges Health Hub in Sassafras. During this affordable workshop I’ll give you specific advice to help protect and heal leaky gut so you can experience vibrant health and vitality. Tickets are only $25 for 2 hours of practical, easy to follow information, a gut-friendly supper, herbal teas, notes and a thank-you gift. Limited seats. No ticket sales at the door. Don’t miss out! Visit the event page for more information and to reserve your seat. Not nearby? Stay tuned for an online version of this coming out soon. 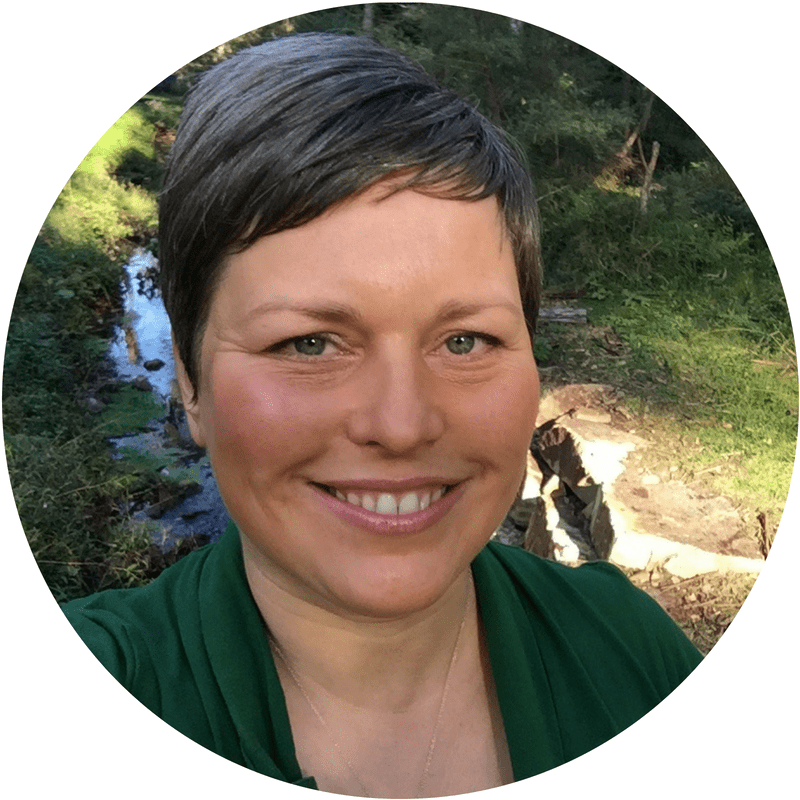 Alternatively, I am available for consultation in clinic or online to help you understand what’s going on in your gut and how to heal it for vibrant health. I’d love to know your favourite gut-nourishing recipes, please let me know in the comments.